Windows are bad news birds! Did you know that in North America hundreds of millions of birds are killed each year from building collisions? Species affected range from the common songbird, to raptors, to rare endangered birds. Birds, especially during migration, use natural light to help navigate and orientate themselves. 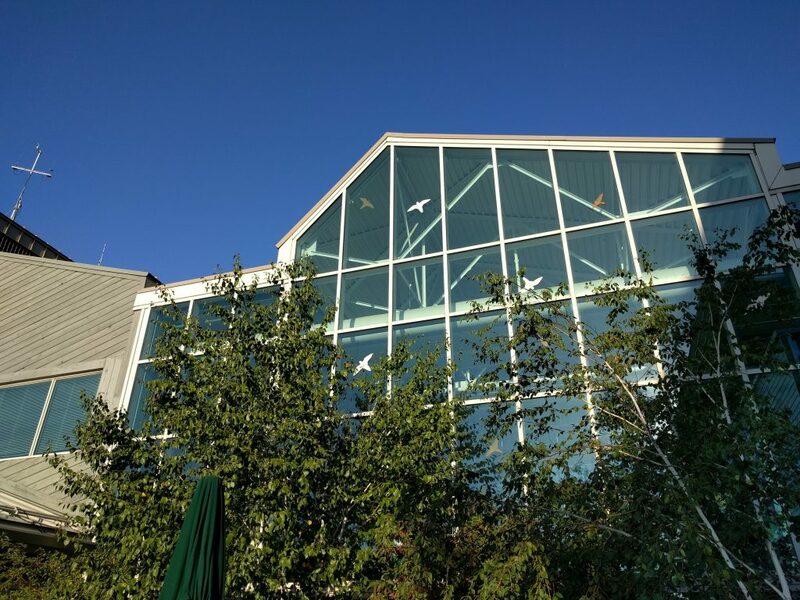 Bright lights or house plants seen behind windows, or the reflections of trees and the sky can be very deceptive and cause birds to crash. Numbers of birds affected will only increase with time with our increasing infrastructure, building developments, and a greater amount of bright lights at night. The Fatal Light Awareness Program (FLAP) is a non-profit working towards safeguarding migratory birds through public awareness, education, research, policy change, rescue and rehabilitation. In Ontario, we are fortunate enough to be a migratory bird hotspot, but that also means we should be taking extra measures to prevent avian collisions. There are a number of things we all can do to help reduce the number of bird strikes. You may have noticed pretty bird decals at places like The Toronto Zoo, but they are not simply for decoration. These stickers are placed on windows to warn birds and reduce the number of building collisions. The Zoo’s new wildlife health centre is currently under construction, and will feature even more extensive collision-deterring windows. At home you can report bird collisions and turn off your lights during the night. Go to http://www.flap.org/ for more ways you can help! 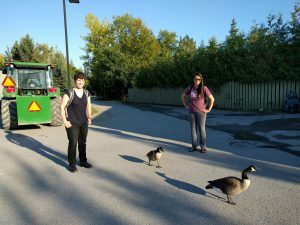 Many of you have likely visited the Toronto Zoo here in Ontario, or other zoological parks elsewhere in your travels, but did you know that managing the interactions between native wildlife and the animals in a zoo’s collection is a crucial step in mitigating the transmission of infectious disease? Diana Shum and Chanel Schwartzentruber, two final year veterinary students on a rotation with the CWHC for the past two weeks had the opportunity to get some hands-on experience with some of the many collaborative efforts the CWHC has with other organizations such as the Toronto Zoo. 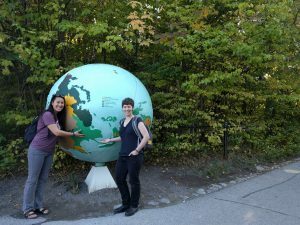 The two students were able to analyze wildlife mortality data provided to the CWHC from the Toronto Zoo for the past four years, and were able to discuss their findings with both the Zoo’s veterinary staff and the CWHC to make recommendations for ensuring the health and well-being of wildlife, the zoo animals, and all the patrons that enjoy the Zoo. The Toronto Zoo is already heavily involved with other wildlife organizations such as the Fatal Light Awareness Program (FLAP) among others to reduce the mortality of native wildlife on their premises, and to reduce the risk of disease transmission from wildlife into their captive collection and vice versa. This is part of a series of photo essays submitted by the wildlife rotation students at the Ontario Veterinary College and the Ontario/Nunavut region of the CWHC. You can find this and more on our Instagram!